With social media's ever-increasing popularity, it is becoming riskier for businesses to ignore this medium. At the very least, having a correctly set up social media presence will make a company or its brands 'discoverable', not only on social media channels, but on search engines as well, helping to raise organic rankings. At its best, social media can promote engagement from existing and potential audiences, activity that can be interacted with, spreading the word and converting into sales. New products, services, special offers, case studies, competitions, reviews and recommendations, can all reach a wider audience very quickly through social media. If you haven't got a social media presence yet and don't know where to start, Harlequin Media Consultancy can do all the hard work for you. If you have the channels in place, but are unsure whether they are working for you or not, we can audit your channels to make sure that they are. When your social media channels are set up and making a positive contribution to your marketing efforts, Harlequin can train your staff to ensure that social media continues to be used effectively. With social media's ever-increasing popularity, it is becoming riskier for businesses to ignore this medium. At the very least, having a correctly set up social media presence will make a company or it's brands 'discoverable', not only on social media channels, but on search engines as well, helping to raise organic presence.At its best, social media can promote engagement from existing and potential audiences, activity that can be interacted with, spreading the word and converting into sales. 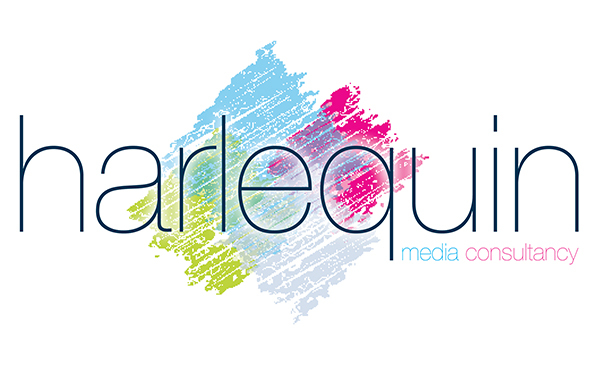 New products, services, special offers, case studies, competitions, reviews and recommendations, can all reach a wider audience very quickly through social media.If you haven't got a social media presence yet and don't know where to start, Harlequin Media Consultancy can do all the hard work for you. If you have the channels in place, but are unsure whether they are working for you or not, we can audit your channels to make sure that they are.